On Christmas day 2008, Anna was not feeling well and ran a fever that fluctuated greatly throughout the night. The following day, a trip to the doctor directed her straight to the hospital, but had stopped breathing by the time she arrived. After hours of working to keep her alive, Anna passed away. Post mortem it was discovered that Anna had an unusually small spleen. The spleen is an organ in the upper left side of the abdomen that filters the blood by removing old or damaged blood cells and platelets and helps the immune system by destroying bacteria and other foreign substances. It was because her spleen was so "tiny", that it could not destroy whatever bacteria that she came into contact with. Simply stated, Anna died from a bacterial infection. Anna loved God’s earth and everything in it. It was almost as if Anna knew she had to pack everything possible into her short time here. Because when she saw something that she wanted she persevered until she got it — no matter if she wanted it for herself or someone else. Anna lived fearlessly. She loved people and had a burden to defend and protect those who couldn’t protect themselves. In Anna’s words she was “nice, funny, smartish, random and Christian”; these all written in questionnaire just weeks before she passed. Others have described her as joyful, beautiful, sweet, creative, spirited and vivacious. There was nothing anyone could do to save her. It was simply her time and God wanted her with Him on December 26, 2008. 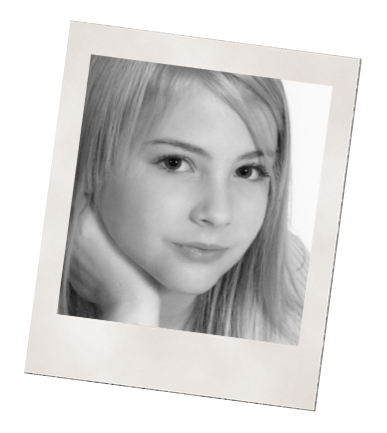 Of course family and friends would rather have her back, but since we can’t, we choose to carry on her legacy by sharing the compassion and zest for life Anna would have shown had she lived…and so we have established The Anna Brooke Hurdle Foundation.